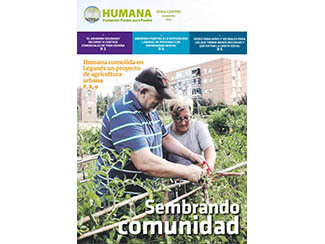 You can now download the new bulletins Zona Centro Madrid and Catalonia, with news, experiences and testimonies about the work of Humana. Protection of the environment, development cooperation, sustainable fashion, agriculture and social welfare are the main issues of these publications. * 'Sowing community' cover story dedicated to our urban agriculture program in Leganes "3C: Cultivating the climate and the community"
* Antonio Orozco opens "El Armario Solidario". * Markets in Madrid: how to adapt to new habits. * Solidarity as a mechanism to avoid the social divide. * Humana corporate volunteering days. * Dreams of football in Zimbabwe. 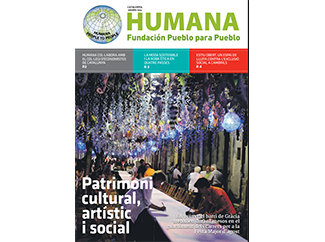 * Humana is working with the Commission on Economy and Sustainability College of Economists of Catalonia. * Sustainable fashion, an upward trend. * 'Estiu Obert', a space combat social exclusion. * Festa Major de Gràcia: neighborhood proud of the work. * Interview with Urko Carmona paraescalada world champion.